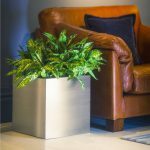 The Stainless Steel Cube Planter is a equal on all sides and looks beautiful in any indoor or outdoor situation. 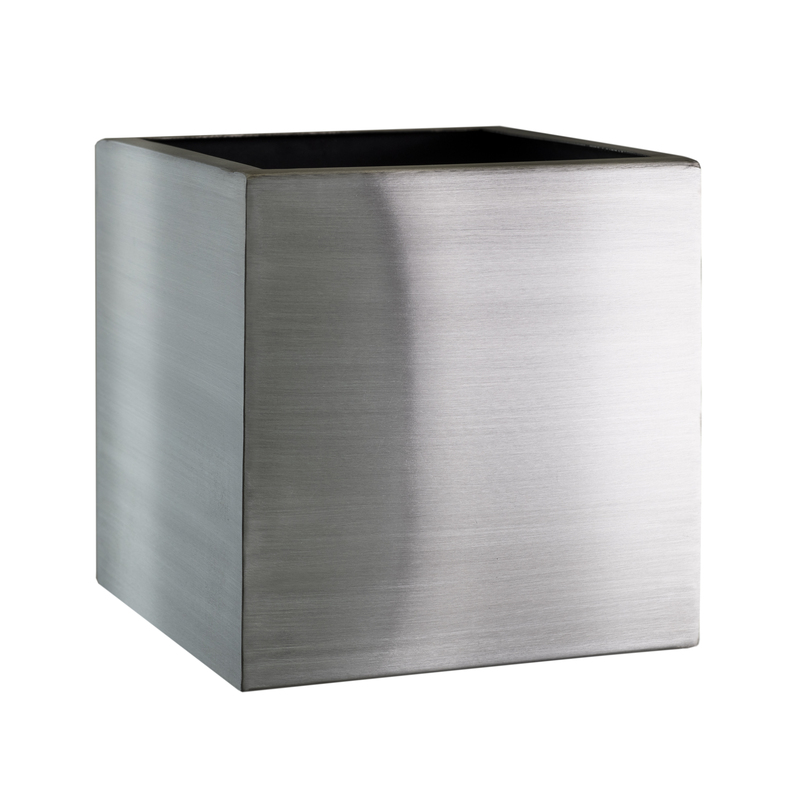 The Stainless Steel Cube Planter also has a return lip on the top which gives it a high quality look and feel. This Stainless Steel cube planter is made from a high grade stainless steel and to ensure that soil will not corrode the planter from the inside, it has been sealed and lined. The Stainless Steel Cube Planter is a classic shape that is perfect for plants and looks equally stunning with floral displays. The Stainless Steel Cube Planters are available in four different sizes. These planters look great as a group of sizes or stunning on their own. They are also a perfect way to smarten up an entrance. 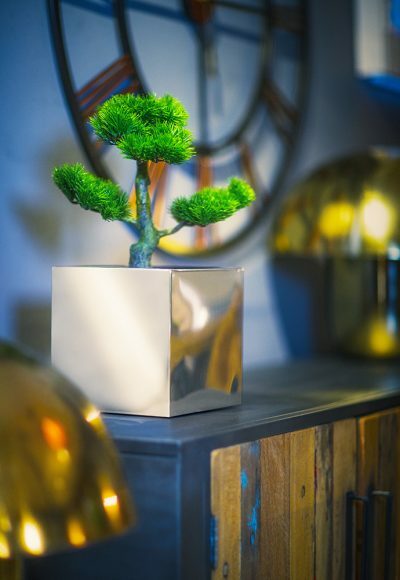 The Stainless Steel Cube Planter is a simple attractive way to brighten up your space. Why not mix up the shapes and pair with our cylinders, tall squares, troughs and tapered squares. 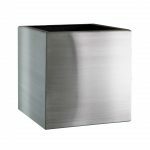 The Stainless Steel cube planters are made in India and are made to a very high standard from 304 grade brushed stainless steel. Some sizes of these planters are available as polished stainless steel – please contact us for details.